Thursday May 5, 2011, flying from Frankfurt to Dubrovnik on Croatia Airlines. Looking out the window I notice snow. The man beside me, a huge, proud Croatian, hastens to tell me that these are the Slovenian Alps. He asks where I’m from and why I’m visiting Dubrovnik. During my two-hour flight, five men shared anecdotes about their country with me. I learned that the tie was invented by Croatian women who gave ties to their husbands as they left to go to war. One man told me that the actor John Malkovich (of Croatian origin) and the American TV host Oprah Winfrey have residences in Dubrovnik. “She probably only goes there one weekend per year,” I mused. “That’s not important,” he responded with a smile. “This rich celebrity can choose to buy a house anywhere in the world, and she chose Dubrovnik!” After a few phone number exchanges and some strong handshakes, I found myself in Croatia. After claiming my baggage, I noticed a smiling man holding up a sign with my name on it. “Welcome to my country, my city, my pride,” he greeted me. This was Yvan the chauffeur. “Come on. I will show you a bit of the city before taking you to your hotel.” What a warm welcome! Feeling fatigued from my long day, I preferred to go directly to my hotel, but thanked him for his offer. 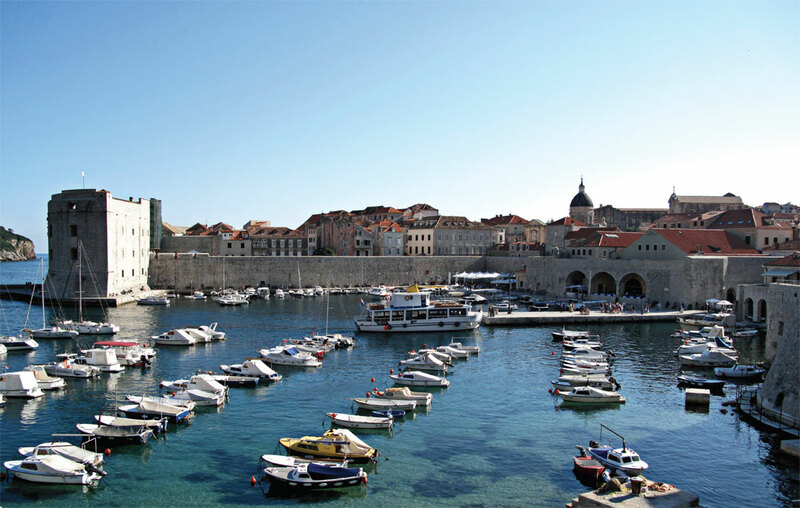 I usually prefer to explore and discover on my own, without a guide, and Dubrovnik lends itself well to exploration. 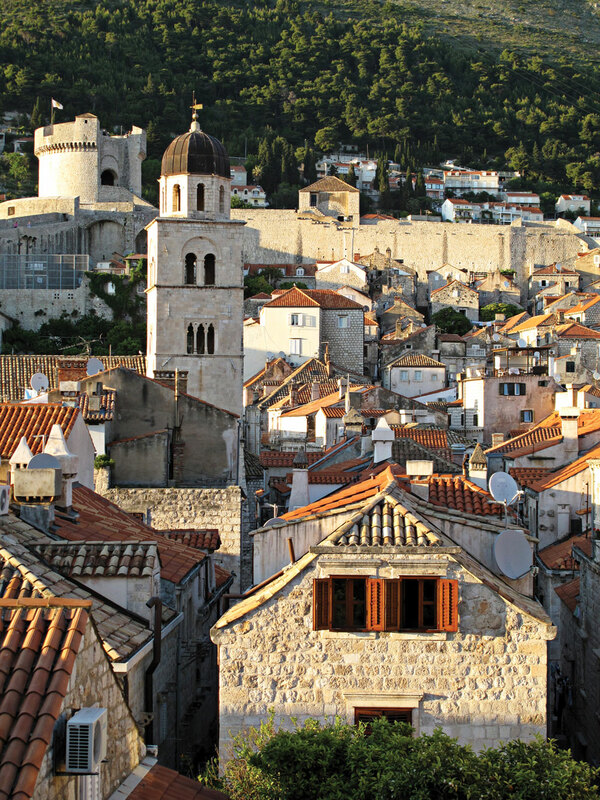 Situated between the mountains of Bosnia-Herzegovina and the turquoise waters of the Adriatic Sea, Dubrovnick turned out to be an architectural gem. 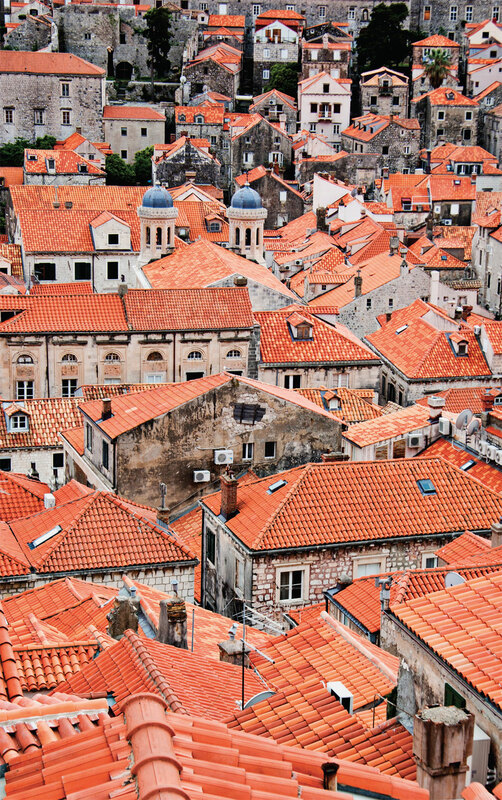 The people of Dubrovnik are, like their city, strong, attractive, well-groomed, and uncomplicated. To my great surprise, no signs of the bombardments they endured during the 1990s are obvious, neither in the city nor among the people. They have simply decided to pick themselves up and not look back. Don’t miss a visit to the fortress walls of the old city. The view is magnificent. It’s best to go early in the morning or in late afternoon. The light on the terra cotta roofs reflects on the city in an extraordinary way, changing colour depending on the sun‘s position. It is truly an extraordinary sight. Wear comfortable walking shoes and take your time. It’s a perfect stroll for lovers. Sunsets seen daily from my balcony at the Dubrovnik Palace Hotel: one of the most beautiful moments of the day when everything seems to start over again. It’s the perfect time to recharge after a long walk and to kick off the evening with dinner in town. Please note that Dubrovnik is a place to rest, walk, and swim. 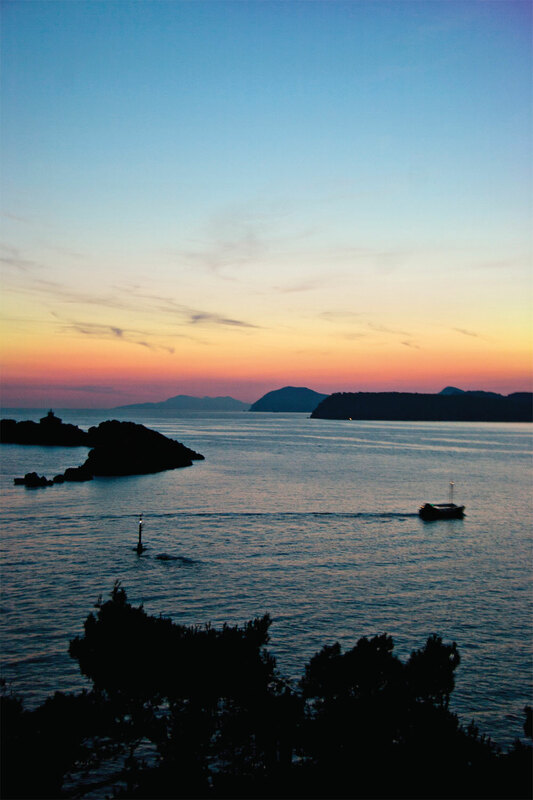 Don’t go with the idea of partying every night; Dubrovnik is a place to relax and take advantage of being by the sea. 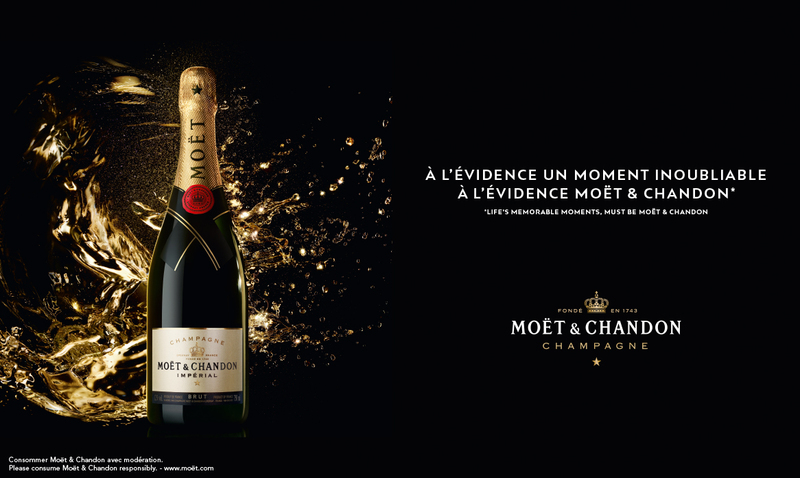 It is truly marvelous! 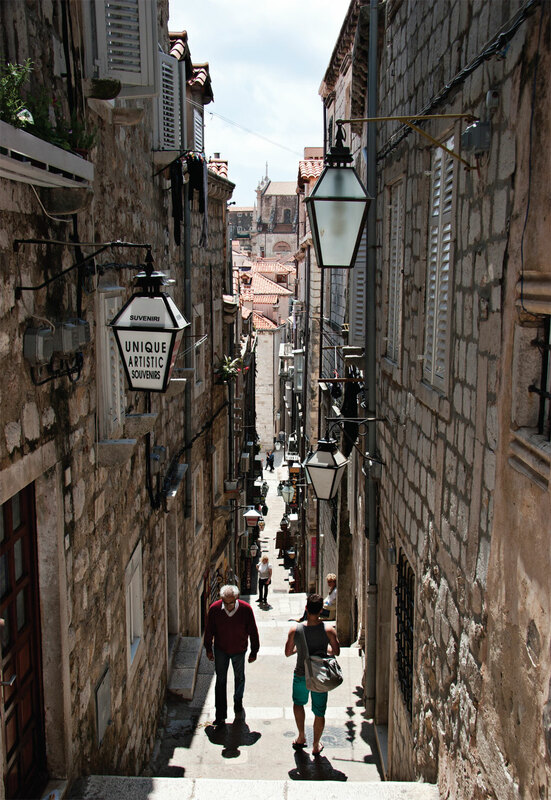 Walk along the little sidestreets to see authentic Croatian dwellings, small cafés, bars, and restaurants. You may also hear the locals speaking to each other from one house to another. 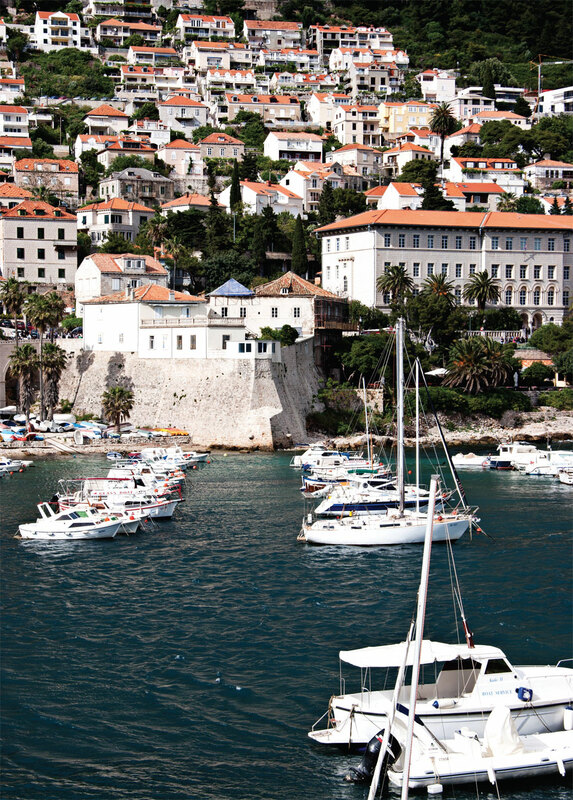 Croatians accept and enjoy meeting ­tourists. Don’t hesitate to speak with them. They are approachable and most speak English. This beautiful image speaks for itself. 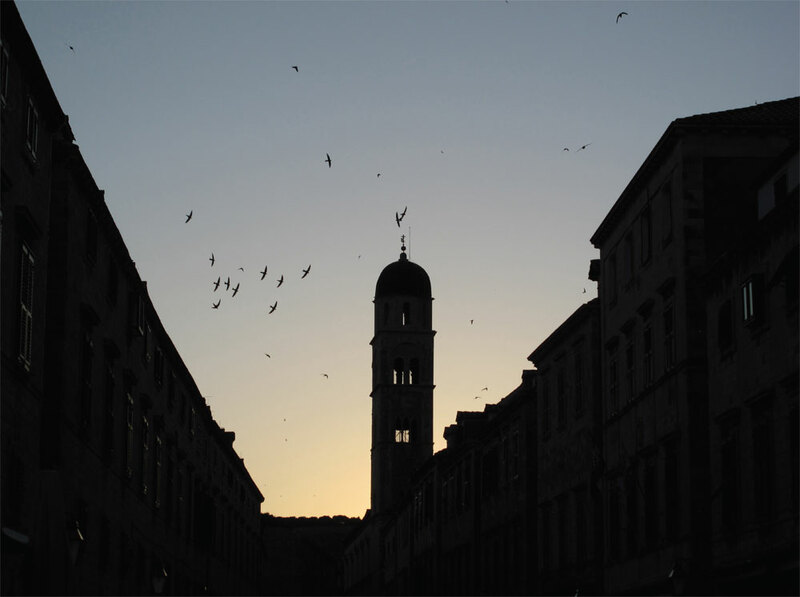 It is the center of the old city, and at this hour the birds are going crazy (be careful when you look up). Many terraces offer access to this spectacle and many small businesses sell ice cream. Oh, go ahead – forget about calories. Vacation is a time to indulge.